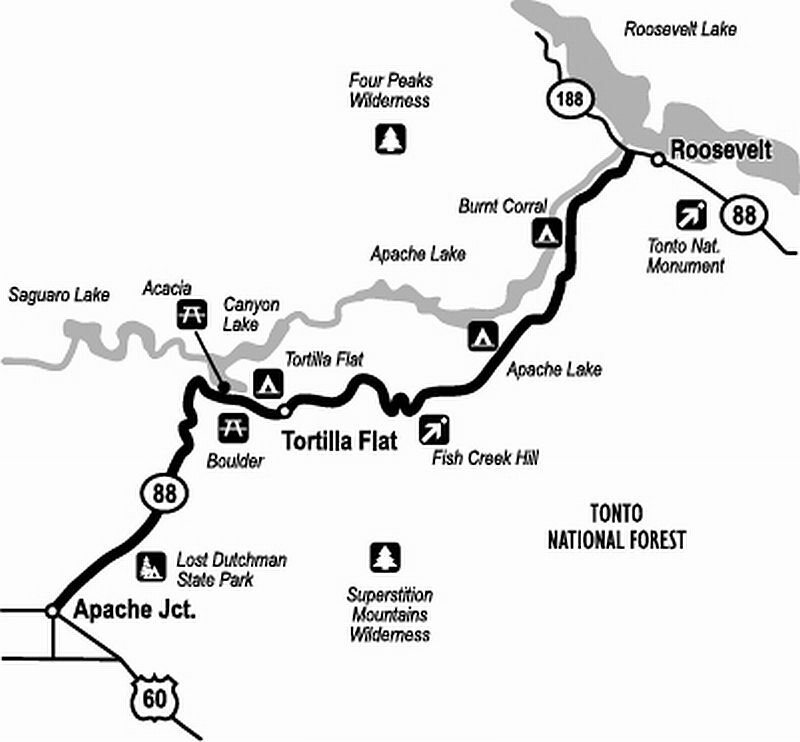 Location: Between Apache Junction and Theodore Roosevelt Lake. Difficulty: Easy. First part paved, but mostly dirt. 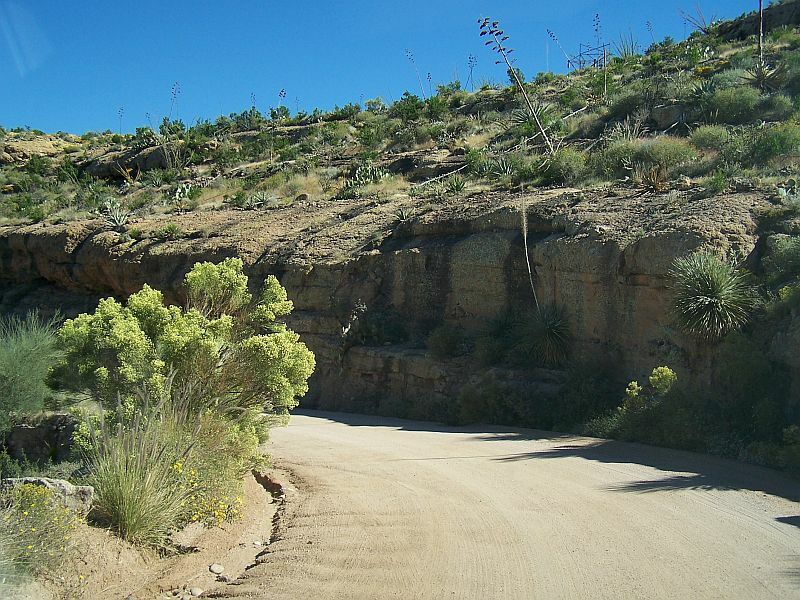 Blind curves and tight switchbacks near cliff edges require driver attention. The road is well marked and easy to follow. Carry plenty of drinking water. Description: A 40 mile trail. 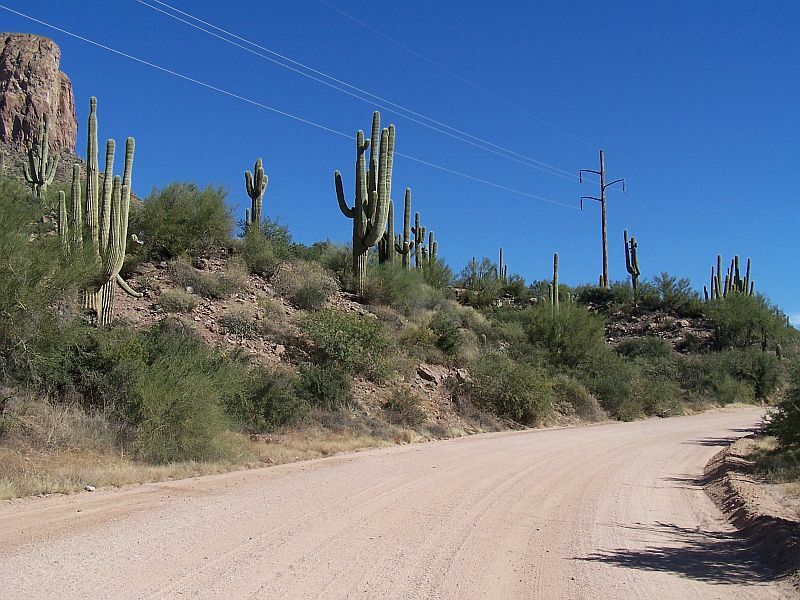 First 18 miles from Lost Dutchman State Park is paved then it changes to well-maintained dirt road. 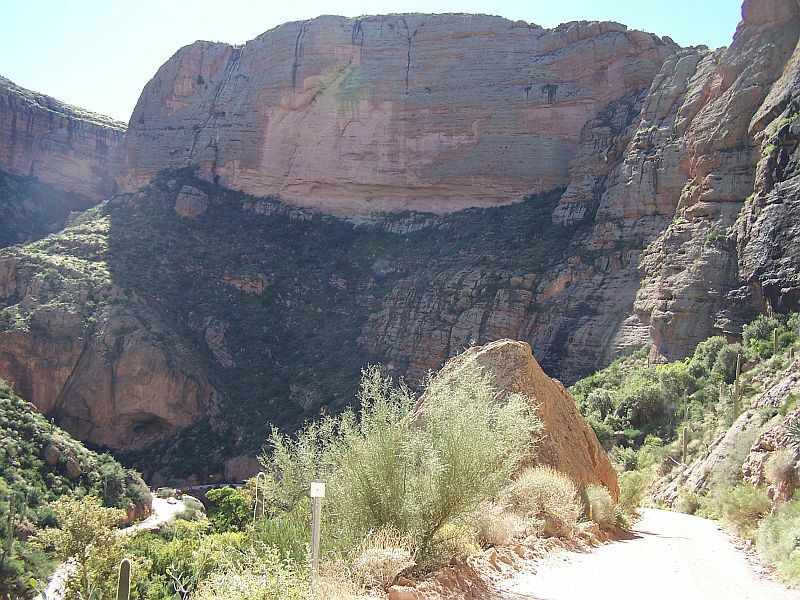 Time & Distance: Allow about 3 hours for this 40-mile trail. It’s a long drive back to Phoenix from Roosevelt Lake. 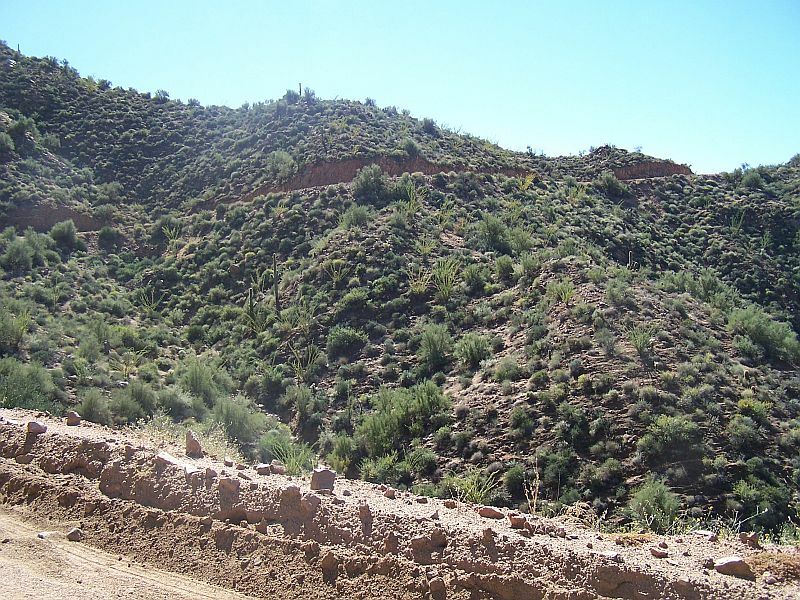 Trail Conditions: Tonto N.F., Mesa and Tonto Basin Ranger Districts. Call (480) 610-3300. 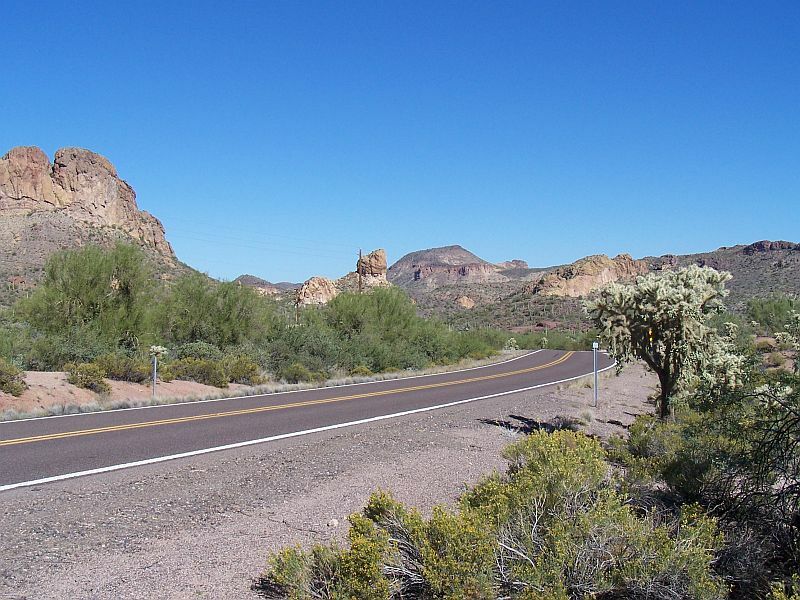 Directions to the Trail: From Phoenix take Highway 60 east to Apache Junction. Get off at Idaho Road, Exit 196, and head north. Turn right on Highway 88 and head northeast. 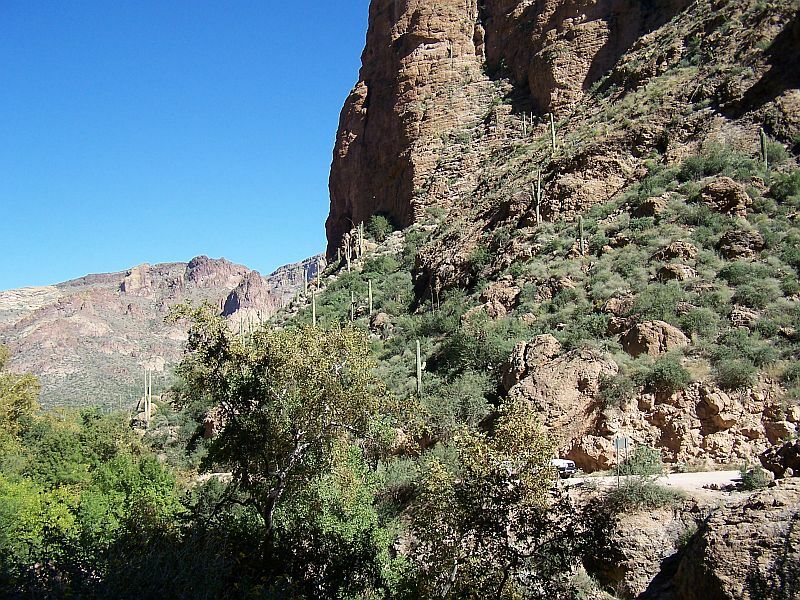 View Apache Trail in a larger map for even more DETAILS! 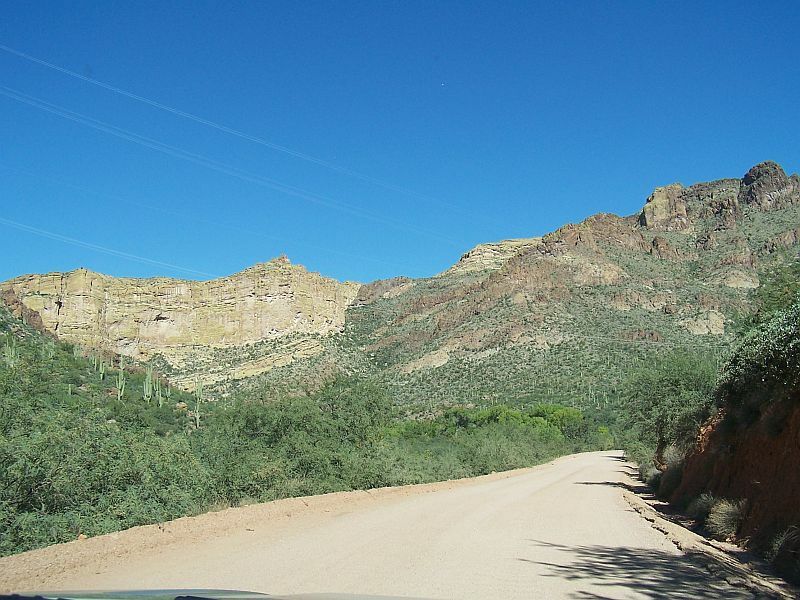 The road weaves along mountainsides above the Salt River Valley then drops suddenly into the valley at Fish Creek Hill. 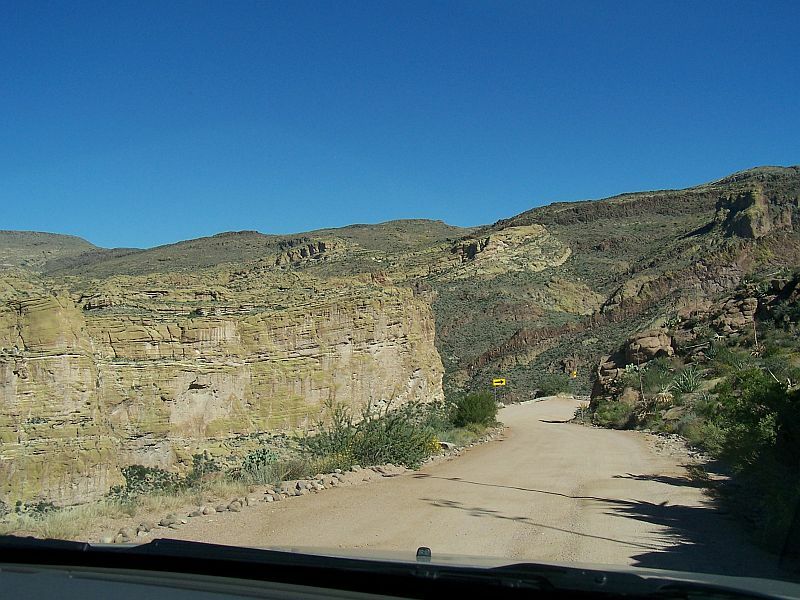 First about 18 miles is paved, and then the fun begins when it becomes a dirt road. 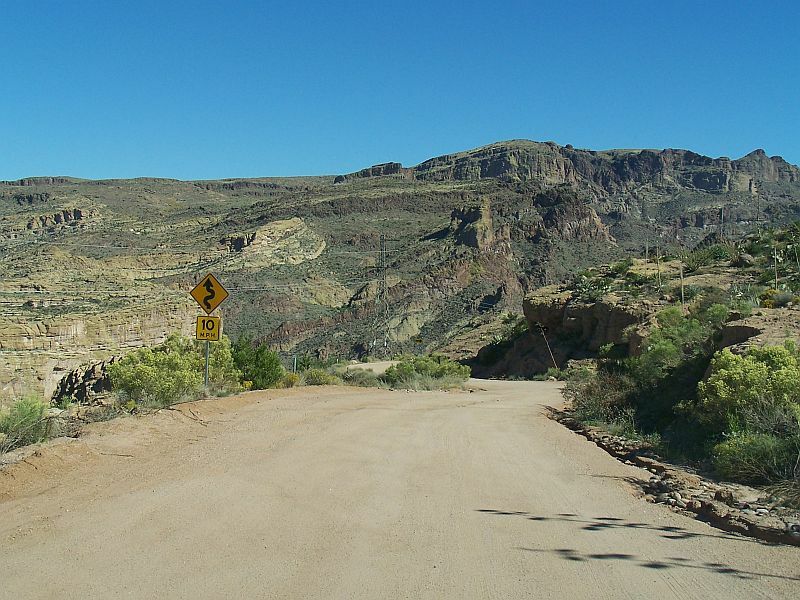 You don’t get back on the pavement until just before Theodore Roosevelt Dam. 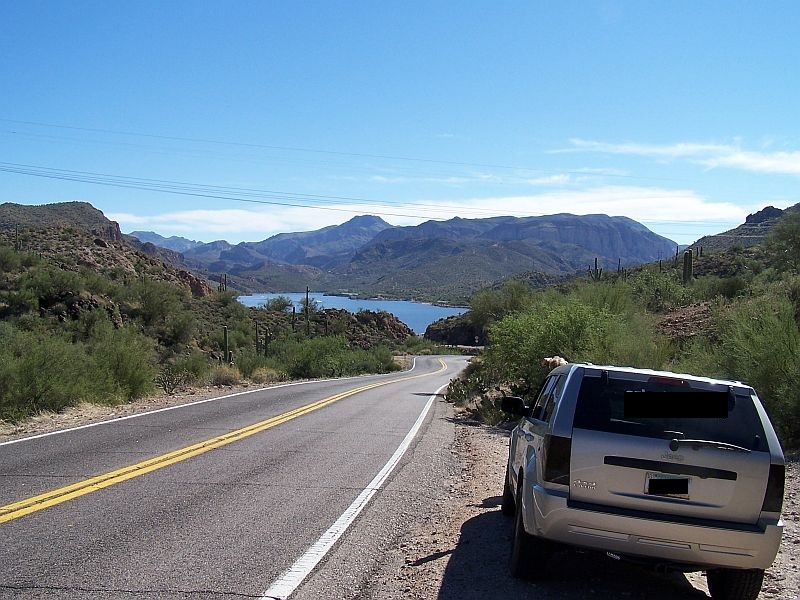 Along the way you’re treated to great views of Canyon Lake and Apache Lake. Both man-made reservoirs offer a full array of water sports including boating, water skiing and fishing. 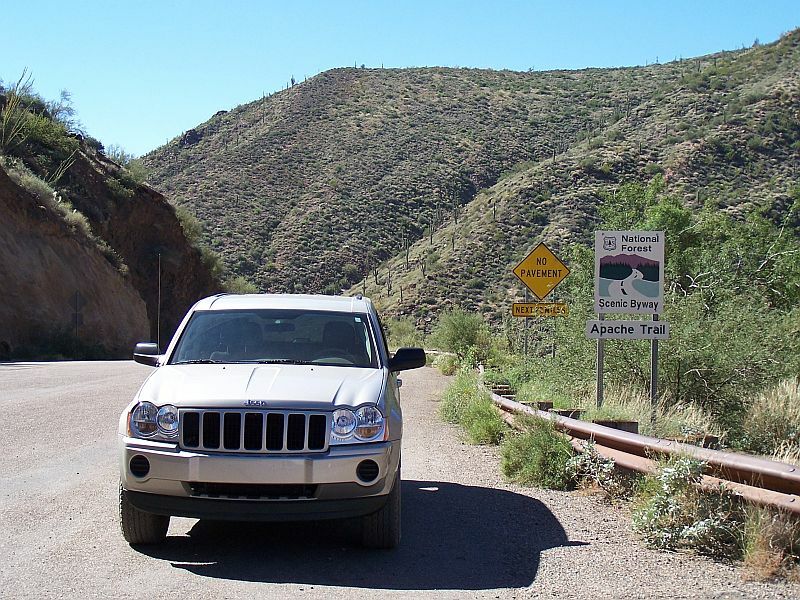 The trail can get quite congested on weekends and holidays. There are few one-lane bridges along the way, so be courteous if you see someone coming from the other direction. 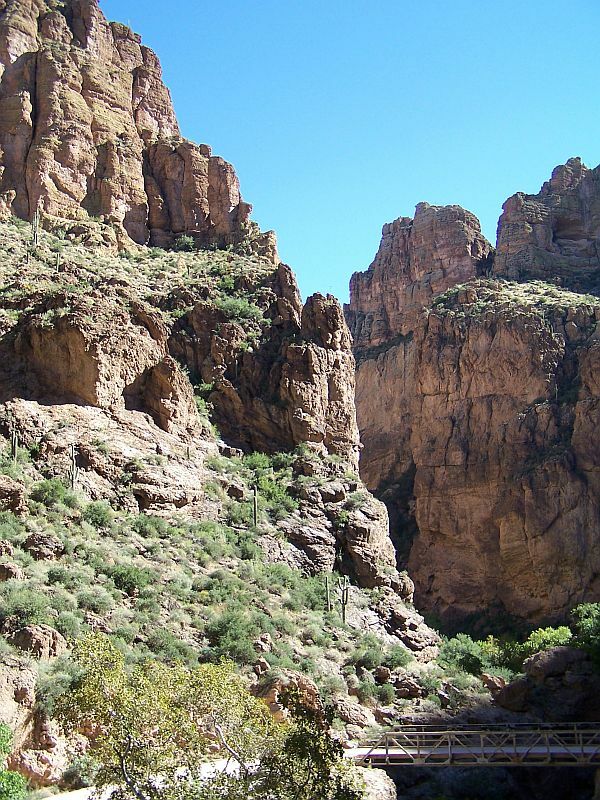 South of Apache Trail is the vast Superstition Wilderness with an extensive network of hiking trails and backpacking opportunities. 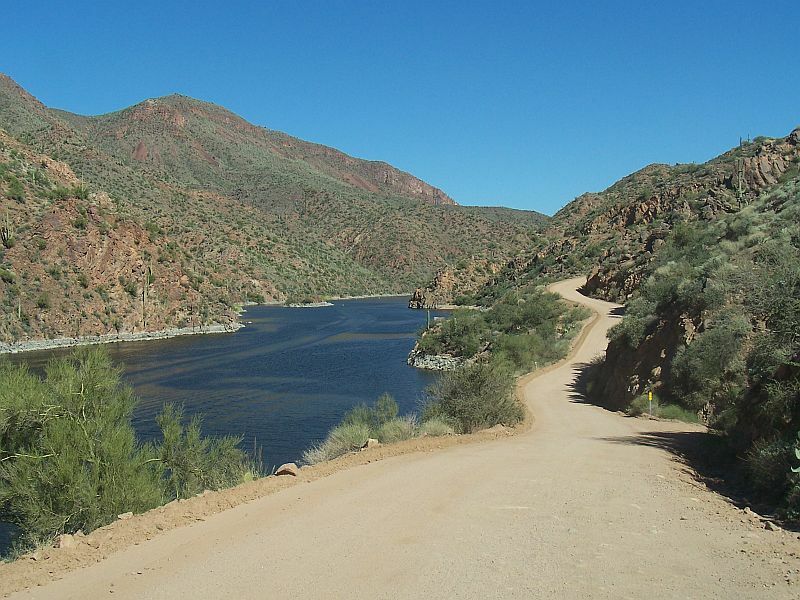 The road skirts the edge of the Salt River before climbing out of the valley at Theodore Roosevelt Dam which forms Roosevelt Lake. When full, the lake’s shoreline measures 112 miles. 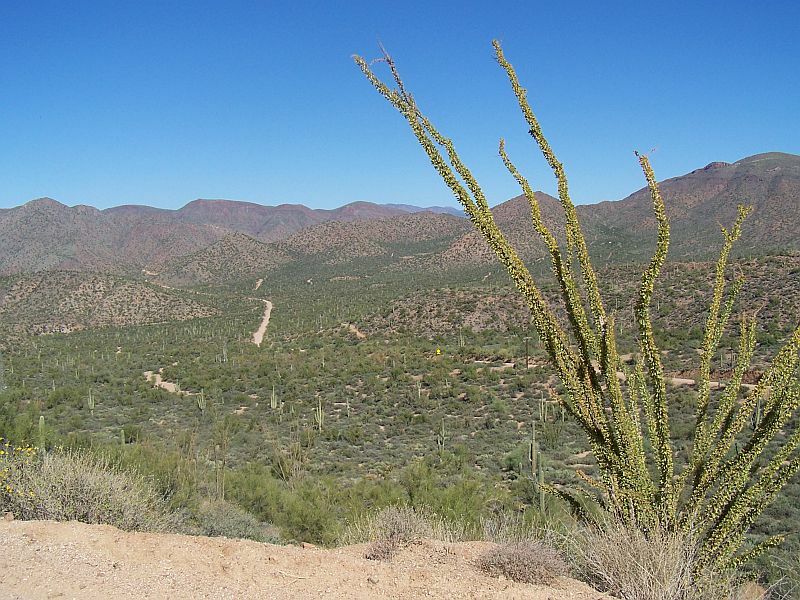 This vast recreation area has just about everything for the outdoor enthusiast. 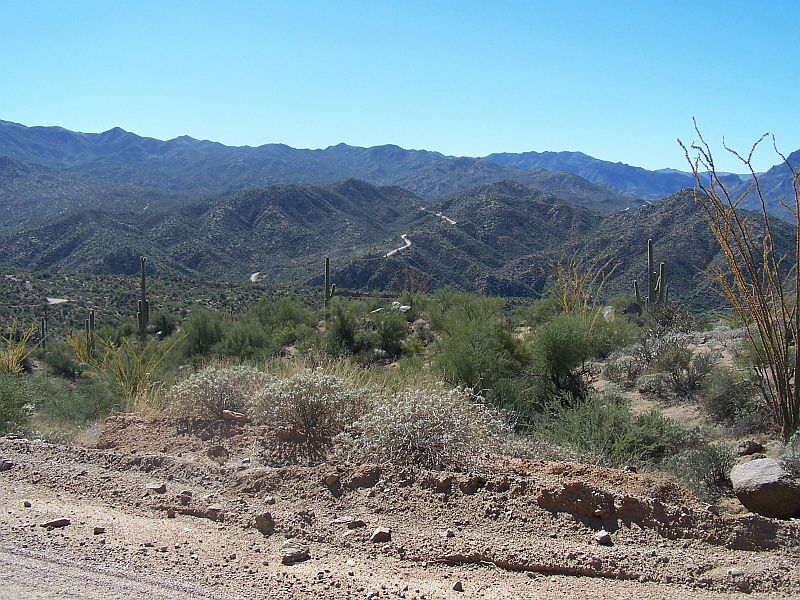 There are many great four-wheel-drive roads and trails in the surrounding Tonto National Forest.